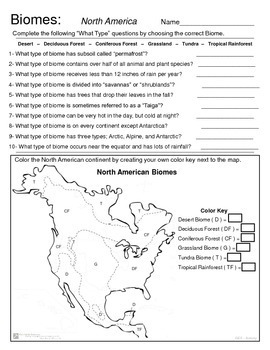 Introduce students to the 6 major Biomes of North America. 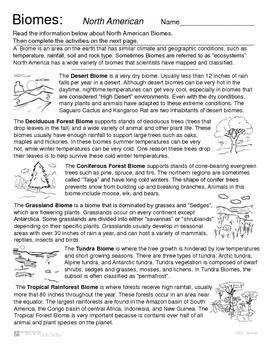 Each Biome has a short description and facts related to each. 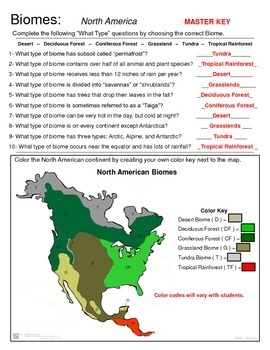 10 "Which Type" questions related to the introduction reading, plus a North American Map - Color Code activity. Great Introduction, Review, or Science Center activity.